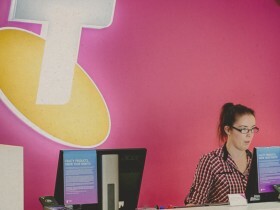 The leader in telecommunications, Telstra offers products and services for traditional landlines, mobile phones and a range of ADSL, Broadband and Dial Up Internet plans. Open from 9.00am Monday to Thursday. From 9:30am on Fridays, 10.00am on Saturdays and 11.00am on Sundays. Located on Murray St Mall opposite Target.